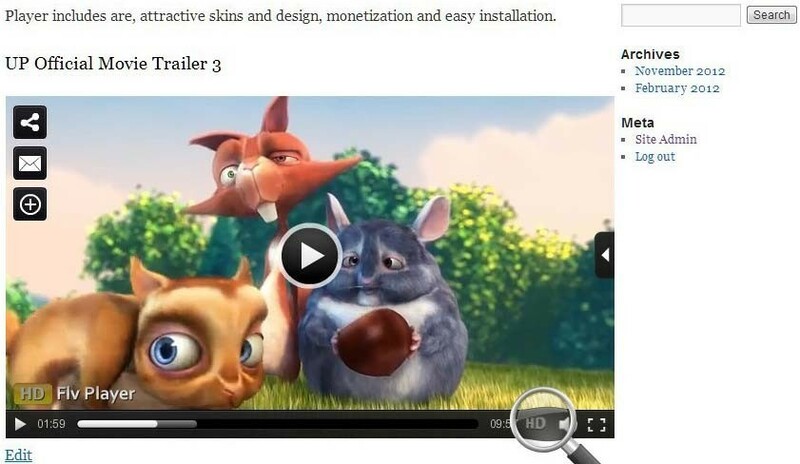 HTML5 support to play videos from IOS devices. Supports videos formats FLV / H.264 encoded video including MP4, M4V, M4A, MOV, Mp4v, F4V. Provides complete control on player through Admin panel with a fantastic support. Facility to Customize scaling of videos for full screen as well as normal scale player. Option to add RTMP based videos. Option to view videos on Full screen and also on 1X, 2X and 3X zoom capabilities. Simple to share your videos with social networking. 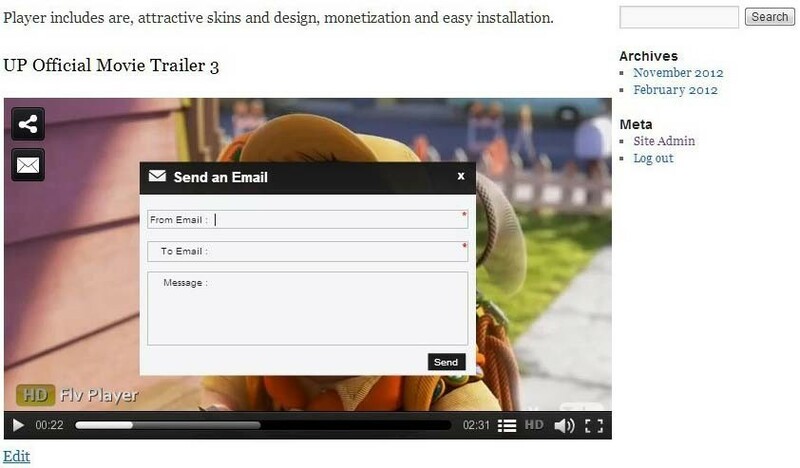 Embed video on other website easily by clicking on the share button. Multi- Language options for Tool tips on Player. Option to modify the colors of player's skin icons, icons, text, etc. Ability to turn on/off and share volume functions. Option to set playlist to be open/close by default. Facility to design your own logo, right click copyright and edit logo position in admin once you purchase our package. Admin option to set the Logo (opacity control). Facility to enable/disable playlist, HD Default, playlist autoplay, autoplay. Option to combine player to play particular video or playlist using shortcodes in pages or posts. 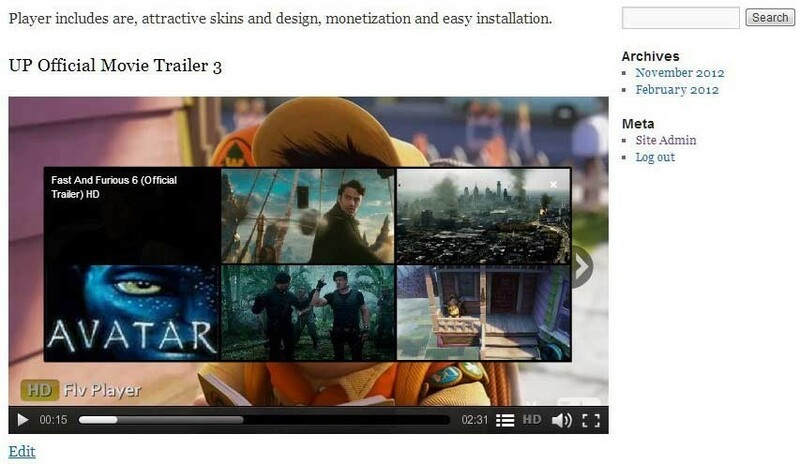 Facility to display the related videos on the side and center of the player. Ability to set Video Buffering in back-end. Option to Enable/Disable download button, share button,Email button, volume button, full screen, High Definition, Timer, Zoom. This video player is being used in portals of World famous organizations such as WORLD BANK, NATO etc. The plugin when embedded in your WordPress website/blog heightens the site weightage. It supports videos formats FLV / H.264 encoded video including MP4, M4V, M4A, MOV, Mp4v and F4V. HTML5 support in the Player facilitates the purpose of playing it in IPhones and IPads. By downloading the pro version of the WordPress video player, you can brand the player by importing your own logo. The plugin is available in attractive skins and designs. Owning an efficient WordPress flash player with all essential features such as Social Bookmarking, Native Language supports etc. happens to be a brilliant idea. 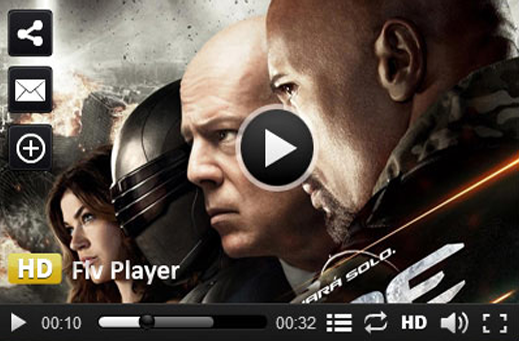 This player supports various video formats such as flv, mov, mp4 etc. It allows to set your own logo in the branded version of the product. Easily we can upload Youtube Videos. I'm happy to write this review because this player provides the best performance to my website. It supports plenty of options. Particularly i'm excited by the YouTube video addition feature after experiencing it live. Free and premium package also good. This is my first time, I've downloaded and installed the video player in my website without fear any coding knowledge. The user manual guide was helpful and had to step by step instructions on how to install this video plugin. It's really easy to handle for someone who doesn't have much experience with html. First I've tried the free download and later I bought and used premium package. This is a unique WordPress flash video player which satisfied all my website needs and the video player is also working perfectly. Only from this extension I got the Multi-language support feature. I rate this video plugin*****!!! !